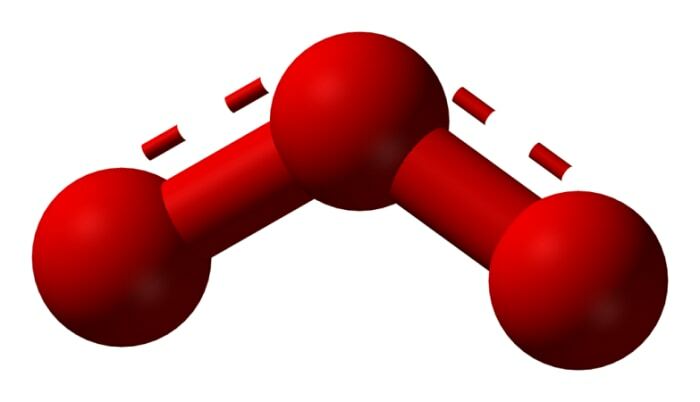 Oxy­gen is a col­or­less di­atom­ic gas in nor­mal con­di­tions. 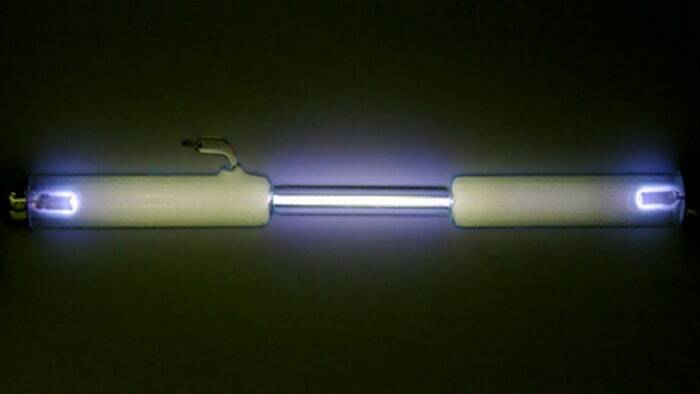 It has no taste or smell, but its pres­ence can be iden­ti­fied with a smol­der­ing stick: when it is placed in an at­mos­phere of oxy­gen it flares up, as oxy­gen sup­ports com­bus­tion well. In an at­mos­phere of oxy­gen, breath­ing and de­com­po­si­tion are also pos­si­ble. In na­ture it is in en­coun­tered in the form of three iso­topes (el­e­ments with an iden­ti­cal num­ber on the pe­ri­od­ic ta­ble, but with dif­fer­ent atom­ic num­bers). 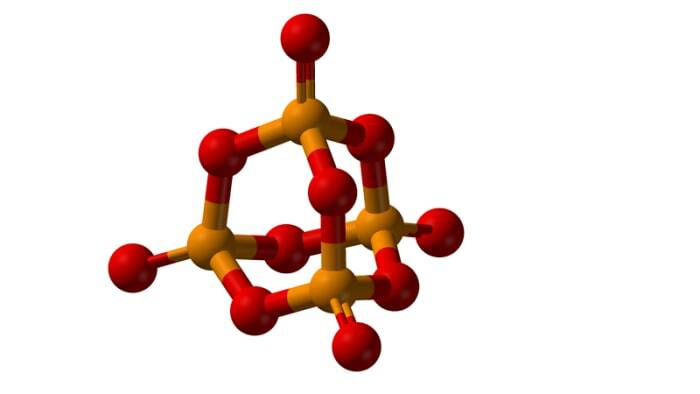 Oxy­gen can be en­coun­tered most fre­quent­ly with the atom­ic num­bers 16, 17 or 18. 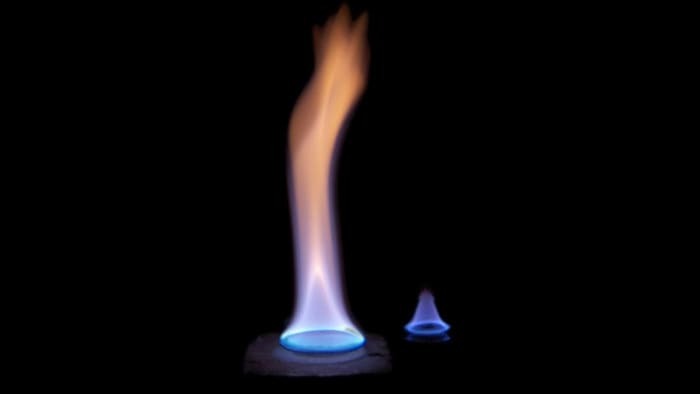 In na­ture, the max­i­mum quan­ti­ty of oxy­gen is con­tained in the air (around 21% of its vol­ume), in wa­ter and in the earth’s crust (up to 47% oxy­gen by mass). Molec­u­lar oxy­gen has the al­lotrop­ic mod­i­fi­ca­tion O₃ (ozone). Ozone is a poi­sonous gas of a bluish col­or with a spe­cif­ic smell. If it is com­pressed, it ac­quires a rich blue col­or. In a sol­id state, the sub­stance forms dark blue, al­most black crys­tals. It forms from the break­down of molec­u­lar oxy­gen into atom­ic oxy­gen (this takes place with an elec­tri­cal charge, harsh ul­tra­vi­o­let ir­ra­di­a­tion of the air or the break­down of per­ox­ides). 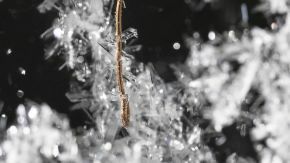 The O₃ mol­e­cule is rather un­sta­ble, so for a rel­a­tive­ly short time (sev­er­al tens of min­utes), it breaks down into molec­u­lar oxy­gen. To pre­vent this from hap­pen­ing, it must be cooled to -78 ᵒC or -108.4 ᵒF in a her­met­ic glass or met­al con­tain­er, or have a lit­tle ni­tric acid added to it. Ozone is a very re­ac­tive sub­stance, and sur­pass­es molec­u­lar oxy­gen by its re­ac­tiv­i­ty and ox­i­da­tion prop­er­ties. Click here for ex­per­i­ments with pure oxy­den. re­ac­tion of potas­si­um per­ox­ide with car­bon diox­ide: 2Na₂O₂ + 2CO₂ = O₂ + 2Na₂­CO₃. mCO₂ + nH₂O = mO₂ + Cₘ(H₂O)ₙ (be­sides oxy­gen, car­bo­hy­drates also form when il­lu­mi­nat­ed with light). Be­ing a strong ox­i­diz­er, oxy­gen most fre­quent­ly dis­plays an ox­i­da­tion state of -₂ in com­pounds (oth­er chalco­gens have a low­er ox­i­da­tion state). Typ­i­cal ex­am­ples of com­pounds where oxy­gen has an ox­i­da­tion state of -2 are H₂­SO₄, H₂O, KNO₃ and CaO (in the hy­drox­o­ni­um ion H₃O⁺ the ox­i­da­tion state of oxy­gen is also -2). In com­pounds of this type (apart from the hy­drox­o­ni­um ion), the va­lence of oxy­gen (its abil­i­ty to form a cer­tain num­ber of chem­i­cal bonds) is equal to two. For H₃O⁺, the va­lence of oxy­gen is equal to three, as oxy­gen forms three bonds – two co­va­lent and one donor-ac­cep­tor. In per­ox­ides, the ox­i­da­tion state of oxy­gen is -1. The for­ma­tion of per­ox­ides is char­ac­ter­is­tic for hy­dro­gen (hy­dro­gen per­ox­ide H₂O₂) and some met­als (for ex­am­ple, sodi­um per­ox­ide Na₂O₂, bar­i­um per­ox­ide BaO₂, cal­ci­um per­ox­ide CaO₂ etc.). In a free state, oxy­gen has the ox­i­da­tion state of 0, like oth­er sim­ple sub­stances. 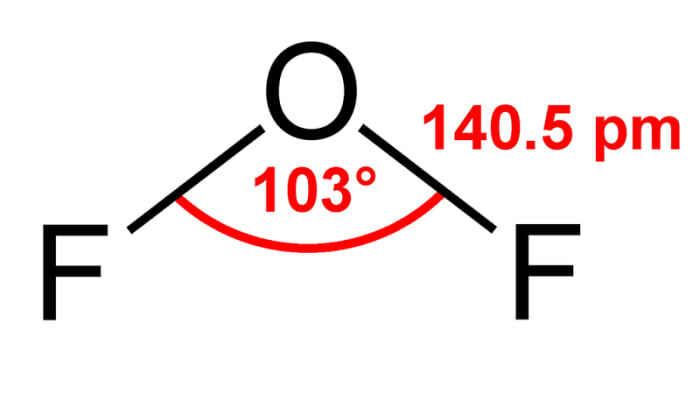 2F₂ + 2NaOH = OF₂ + 2NaF + H₂O (ozone and hy­dro­gen per­ox­ide can also form in the re­ac­tion). 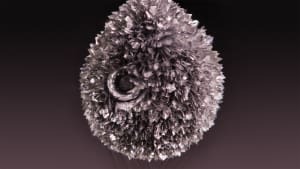 There is a com­pound with a pos­i­tive ox­i­da­tion state of oxy­gen (+1), O₂F₂ (oxy­gen monoflu­o­ride, ob­tained in the re­ac­tion of molec­u­lar oxy­gen and flu­o­rine). It is an un­sta­ble com­pound. In the ma­jor­i­ty of cas­es, oxy­gen dis­plays ox­i­diz­ing prop­er­ties in re­ac­tions, both with sim­ple and com­plex sub­stances. 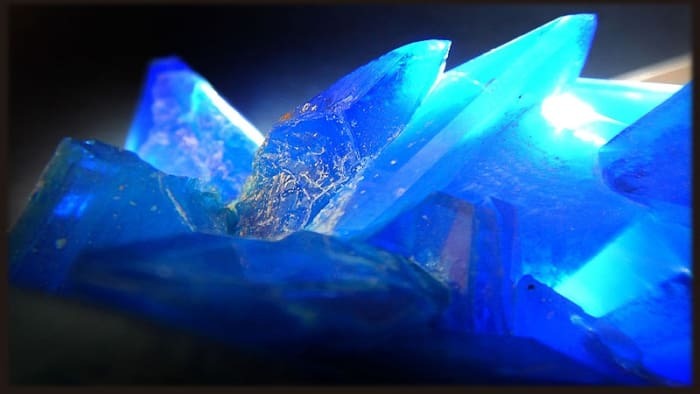 If the ox­i­da­tion of oxy­gen takes place vi­o­lent­ly and rapid­ly, this re­ac­tion is called a com­bus­tion re­ac­tion, dur­ing which oxy­gen ox­i­dizes any sub­stance with the vi­o­lent re­lease of en­er­gy (usu­al­ly in the form of heat and light). 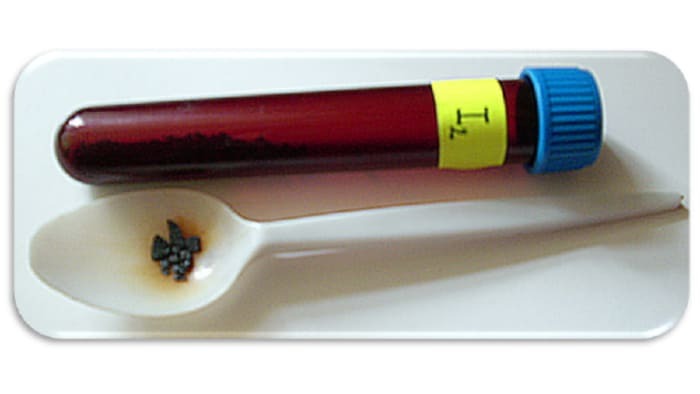 If the re­ac­tion with oxy­gen takes place gen­tly and slow­ly (of­ten with a cat­a­lyst), then this process is called ox­i­da­tion. Which process takes place in a spe­cif­ic case of­ten de­pends on the con­di­tions in which the re­ac­tion is car­ried out and the prop­er­ties of the ox­i­diz­ing sub­stance. 2Na + O₂ = Na₂O₂. 4CH₃N­H₂ + 9O₂ = ₄CO₂ + 2N₂ + 10H₂O. O₃ + 2KI + H₂O = I₂ + 2KOH + O₂ (molec­u­lar oxy­gen is re­leased and a dark vi­o­let sed­i­ment of molec­u­lar io­dine forms). Oxy­gen has found wide ap­pli­ca­tion in in­dus­try (for ex­am­ple in smelt­ing cast-iron and steel). 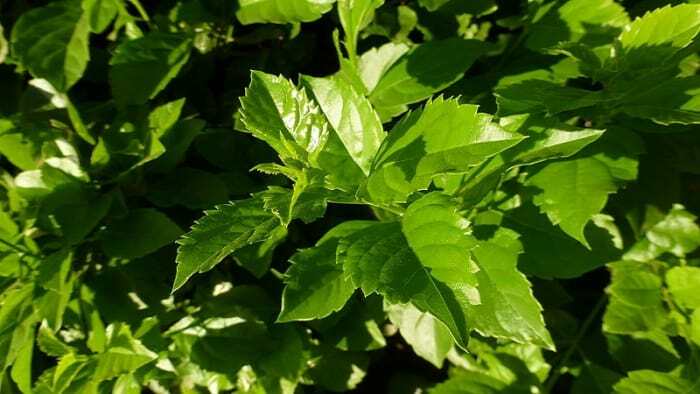 It is also used for cut­ting met­als (with acety­lene) and in medicine. Ozone is used for bleach­ing fab­rics and de­con­tam­i­nat­ing wa­ter.